I love Asian food. In particular, Thai food is my favorite even at home. On this second trip to Thailand, I’ve spent 7 cumulative months in the country I hold so near and dear to my heart. One of the best aspects of this trip is that I’ve pushed aside my boundaries and tried a variety of new Thai dishes. I’m so thankful I did! I can’t believe I almost left here without trying the full range of this incredible cuisine. I’ve compiled a list of my favorite Thai dishes both new and old. Hope you like them! 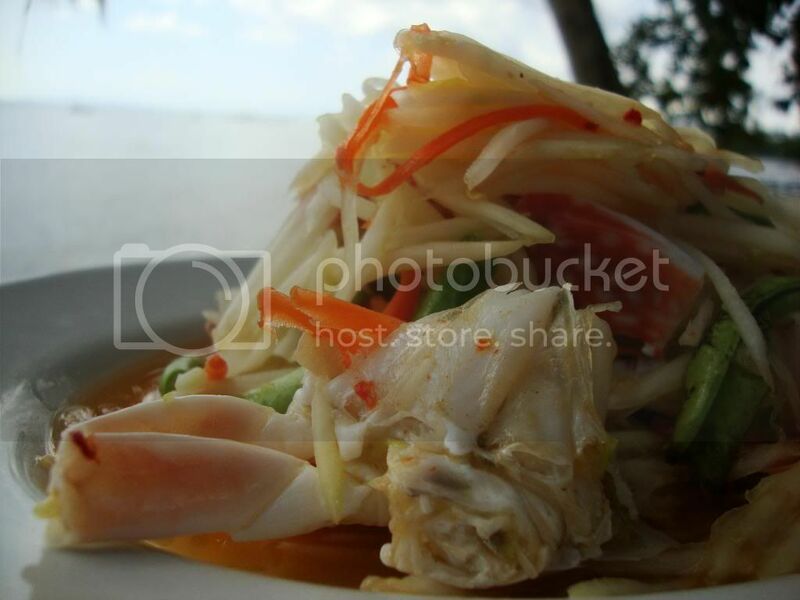 Papaya Salad with Crab – Foolishly, I’ve avoided eating the Thai papaya salad for the stupidest reason: I hate papaya. What I failed to realize was that the Thai papaya is quite different from the regular papaya that I know and despise. Theirs is green and when infused with the various sauces and bits of whole seasoned crab, it was love at first bite. BBQ Chicken – My favorite Thai dish at home, it’s also on the top of my list in Thailand. One of the best parts of trying the food in the country of origin is that you get to experience what it’s supposed to taste like. Fortunately, the home version isn’t very far off it all. Happy tummy here and far. 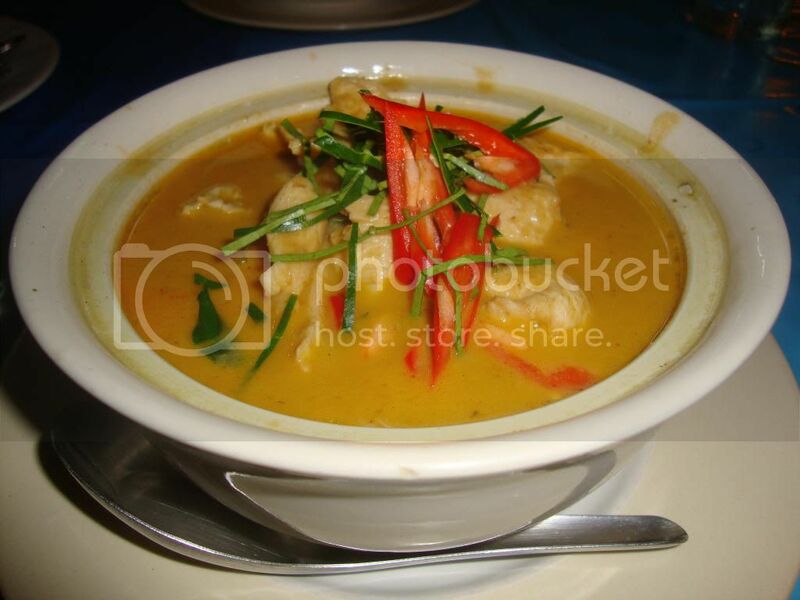 Penang Curry – Not big on curry, it was never high on my order list. However, a recent trip to Penang in Malaysia ignited an interested in curry and motivated me to try the travel favorite when I got back to Thailand. Another Thai dish added to my list of favorites, Penang Curry is silky and flavorable in every bite. One you’ve gone Thai curry, you’re never going back. I’m not! Tom Yum Soup – Tom Yum is my favorite soup to eat at home and in its country of origin. The difference between here and home is that in Thailand they add coconut milk ensuring that it has that silky smooth texture I love in a broth. Extra spicy and always with seafood or prawns, Tom Yum is always high on my list. Crispy Pork Noodle Soup – Now this is totally different than pork with rice. The clear and refreshing broth with the glass noodles, bits of peanuts, and spicy chillies mixed with soft and slow roasted pork…need I say more? By far one of the best breakfasts in the world, we waited eagerly at 6am by our favorite noodle soup spot in Bangkok just to have the first bowl of the day. Yumm. Crispy Pork and Rice – If you know me you know that I love my pork; which is probably why I needed a good detox! I’ll always choose pork before chicken and beef and this is why I failed to try many dishes at the beginning of my time here – I was too busy consuming the delectable array of crispy pork rice combinations. While I’ve O.D. on it at the moment, there will always be a special place in my heart for the charming couple that ran the perfect crispy pork stall in Thongsala, Koh Phangan that I frequented every single day. 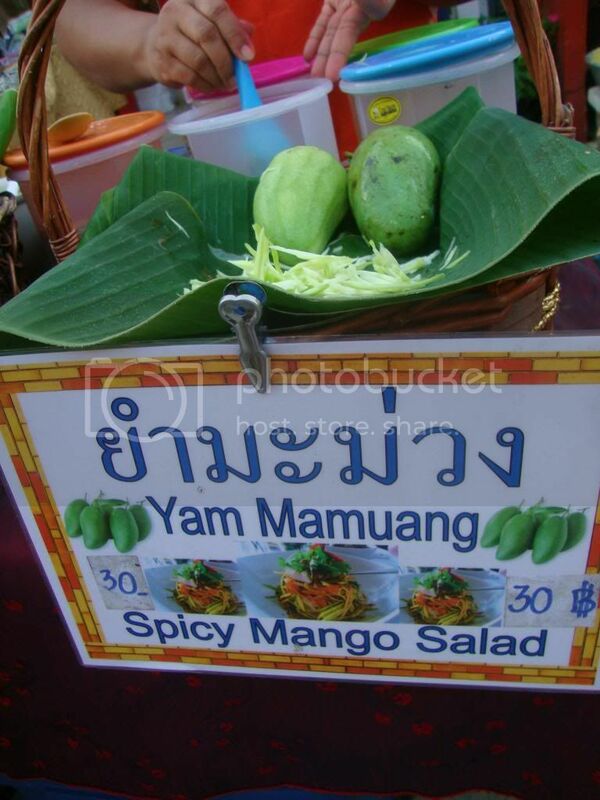 Green Mango Salad with Seafood – If I don’t stop myself, this entire list might just be Thai salads. Each and every one has a distinct flavour that makes your taste buds want to sing and dance. The green mango salad is no exception with the finely sliced mango mixed with squid and prawn. By far, one of my new favorite dishes! What are you favorite Thai dishes at home or in Thailand? I’m going to have to be honest and say I’m not a huge fan of Thai food. There are a few dishes that I love, but overall I don’t think it’s my favorite cuisine. 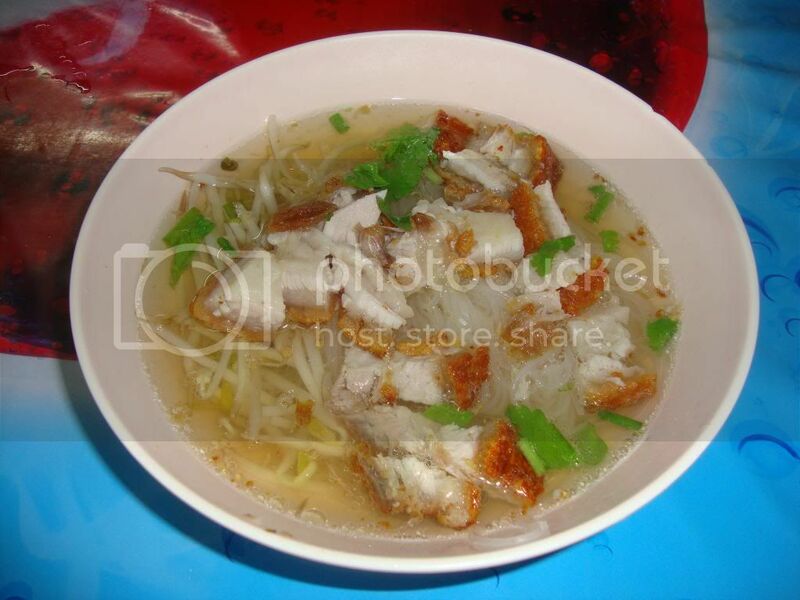 That said, the crispy pork and noodle soup you mention looks delicious. Wish I tried that on my last trip. that’s too bad. good thing there’s a lot more food for you to love 🙂 what’s your favorite? I love Thai Food too 🙂 The salads are especially nice – but I actually haven’t tried the Crab salad you have listed. I must look out for it next time I am there! there were some incredibly delicious local beach side restaurants in koh samui in between nathon and mae nam – delish! I have actually never tried thai soup, Im not sure if I would like it to be honest. However I am a fan of curries and that Penang curry looks delish! The Thai soups vary in taste but the Tom Yumm is fragrant with lemongrass and ginger – give it a try sometime 🙂 Thanks for reading! I can’t believe I almost left without trying it, amazing!